As the saga over Donald Trump’s secretary of state pick reaches a turning point, Rex Tillerson, the CEO, president and chairman of Exxon Mobil Corp., has emerged as the distinct front-runner, sources told CBS News. Tillerson met with the president-elect Saturday at Trump Tower, shortly before Mr. Trump left for his scheduled appearance at the Army-Navy football game in Baltimore. If all proceeds as planned, John Bolton, a former U.S. ambassador to the United Nations, would serve as Tillerson’s deputy secretary of state. On Friday, the Trump transition team announced that one of the leading candidates for the top diplomatic post, Rudy Giuliani, took himself out of the running on Nov. 29. CBS News reported Friday that the list of truly serious candidates is now down to two: Tillerson and Mitt Romney, former GOP presidential nominee and a blunt critic of Mr. Trump during his campaign for office. The 64-year-old Tillerson is the head of the world’s largest oil company, which operates in more than 50 countries and has oil and natural gas interests in six of the world’s seven continents. The multi-millionaire is well-known to Mr. Trump, and despite his late entrance into the candidate pool, he has quickly drawn favor from some on the transition team. Tillerson’s newly minted front-runner status in the secretary of state race comes just as reports of Russian involvement in the election continue to mar Mr. Trump’s transition to the White House. Intelligence sources confirmed to CBS News’ Jeff Pegues that U.S. officials believe Moscow not only tried to influence the 2016 presidential election, but also rooted for Mr. Trump over his Democratic rival Hillary Clinton. President Obama has ordered a full review, to be completed before he leaves office, of any hacking that targeted the presidential election during the course of the campaign, according to White House Homeland Security Adviser Lisa Monaco. In light of that review, if Tillerson is nominated, the oil executive may face further scrutiny before the Senate because of his business connections to Russian President Vladimir Putin. Tillerson and Putin met in the 1990s when Tillerson worked for Exxon in Russia during Boris Yeltsin’s presidency, and Putin worked for Yeltsin’s KGB with an eye toward Russian economic revitalization. 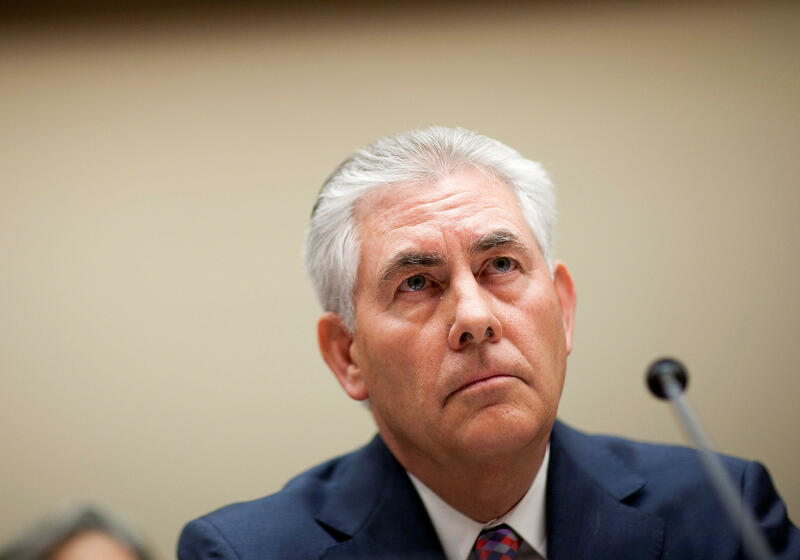 In 2011, Tillerson negotiated Exxon access to drilling rights in the Arctic. As part of the deal, Russia’s state-owned oil company, Rosneft, became an investor in Exxon global operations, specifically concessions. At Putin’s behest, Tillerson was given the Order of Friendship in 2013. The state decoration rewards foreign nationals whose work has been aimed at bettering relations with Moscow.